Modern government budgeting is increasingly expected to be an extended conversation between stakeholders: executives, legislatures, auditors, the public, and other independent institutions. In this conversation, like in most conversations, governments cannot simply announce their plans. They have to explain the reasons for the choices they are making. Similarly, as the conversation continues, governments also have to explain why they did not do things they said they would. Including reasons for deviations during budget implementation is not a radical idea. 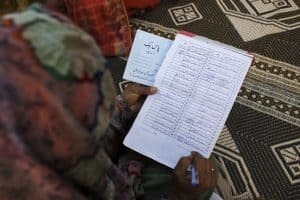 Mainstream public finance assessments already ask whether governments provide explanations for deviations from plans and budgets, and many governments around the world already provide explanations for failing to implement their budgets. The countries that provide at least some explanations for variations between their planned budget and actual spending are spectacularly diverse – Afghanistan, Chile, Costa Rica, Dominican Republic, Jordan, New Zealand, Nicaragua, Philippines, South Africa, and the United Kingdom – which suggests a fairly widespread acceptance of providing some kind of public justification for budget deviations. This may appear to be a causal statement (it uses the word “because”), but in reality it only provides further details about the problem that in turn requires explanation: why did VAT decline? Once a government has made a causal statement to explain a fact or action, members of the public and their representatives should evaluate it. But at the global level, there are no recognized standards for assessing the reasons governments provide. This means that providing something that looks vaguely like an explanation, even if it does not actually explain much and fails to facilitate further conversation about the budget, is okay. 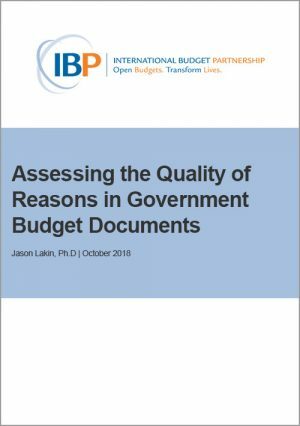 Our new paper, “Assessing the Quality of Reasons in Government Budget Documents,” proposes five criteria (including the need for a causal statement) that we think define the adequacy of a public reason for a government action. We look at this question for both prospective reasons (e.g., proposed choices in the budget) and retrospective explanations (reasons for facts or actions in the past, such as a failure to spend the budget). In the paper, we offer a preliminary test of these criteria by reviewing budget documents in the United Kingdom and South Africa. To further refine these criteria, IBP’s Assessing Budget Credibility project is currently working with partners in over 20 countries to apply these criteria to budget deviations in their countries. The project looks at budget deviations across sectors, such as agriculture, health, education, and will help to strengthen the criteria and ensure that they can be applied widely. Download the paper to see the criteria we use. What do you think? Are these criteria adequate? Is there something missing? Can you think of an example of a government justification to which you could apply these? We want to hear your thoughts! Comment below or email jlakin@internationalbudget.org. We have been engaged in research and lecturing public finance of Ethiopia. We set new theories of budget. Broadening income tax base yield additional tax revenue and disposable income. To translate new theories into practice, we innovated two universal income tax schedules for the tax periods of 365 and 366 days. But they need to be amended. Thus, if your organization fund us, we will train finance experts of budgetary institutes for pilot and tax draftsmen for legislation. This is good work. I like the fact that countries should tell us why they did not do what they had promised to do in the planning and budgeting documents. Most of the times the deviation is too huge but no one is talking about. The state assumes that everything is okay.